Hi all, We are stopping by here today to let you all know some exciting news!! 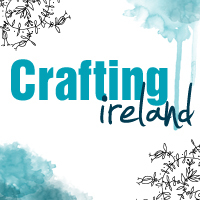 Crafting Ireland has been set up as a free magazine so we and our team can share crafting and inspiration with everyone. However the magazine format is very time consuming to put together. So we have taken the difficult decision to stop producing the magazine….